True to size. Not suited for a wide foot. These 40s Betty Sandals complete your perfect, retro summer look! 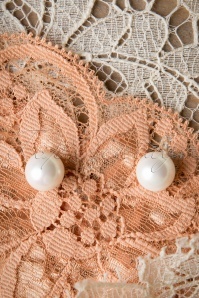 Playful stitches, openworked details and a classic style... Betty has it all! 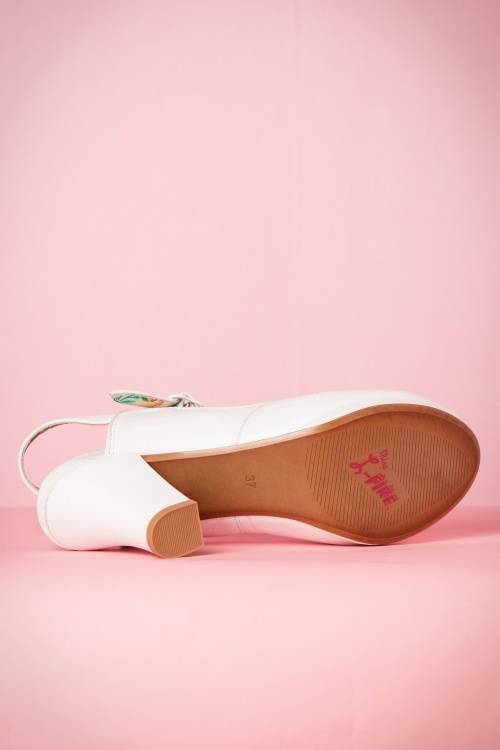 Made from a high quality white leather and a comfortable heel height so you can wear them all day long ;-) They're so good and pretty, they keep bringing it back! Really lovely shoes.. very soft, but run a little small in size I think. Really good quality and beautiful! They are also comfy. Sadly a little bit too small ( i wear 40) just ordered a 41 i hope they are not too big and they fit well ( wanna wear them for my wedding!!) Worths the money !! Na een jaar kwijlen eindelijk gekocht! Ze zitten super en gaan prachtig staan onder al mijn zomerjurkjes. Aber mir leider zu klein, ich brauche eine Zwischengröße, die gibt es leider nicht, schweren Herzens retour. I have had my eye on this style by Miss L Fire for a very long time. It's hard for me to find pretty shoes to fit (size 42), and I have previously missed my chance to own a pair of these. Well, the wait was more than worth it! They are perfect in every way. 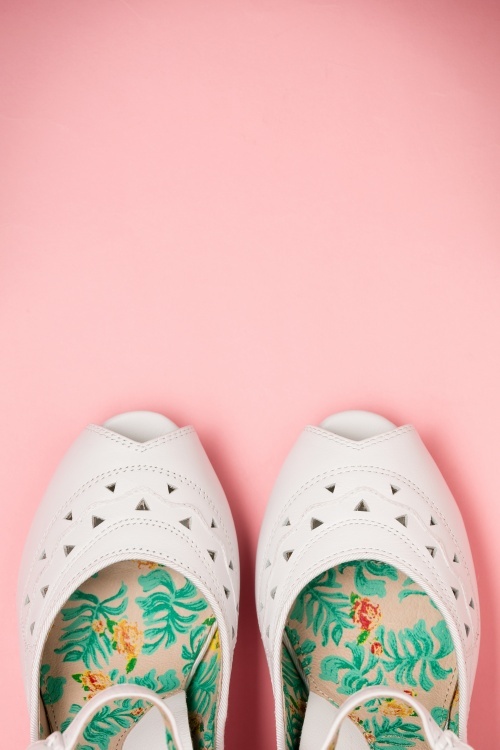 A true white shoe to match with my summer outfits, in a beautiful retro style. They are super comfy too! I am planning on trying to get my hands on this style in every colour I can find. I consider them a great investment, as they are so comfortable and versatile that I can wear them most days. The one thing I would suggest to Miss L Fire (apart from making more!) is to consider making more of them in leather rather than suede (the white are leather, the black and red version are suede) as I worry about wet weather damaging these beauties. De King Louie jurkjes, shirtjes en rokken zijn ook geweldig, zoals altijd geweldige kwaliteit.